Orto Botanico | Just Visit Siena ! Maybe after sightseeing all attractions in Siena that are mostly crowded, you will need small rest in peaceful place. Such a place I can recommend you with pleasure! That will be for sure our Orto Botanico – a botanical garden that is opened daily without charge (from Monday to Friday from 08.00 to 15.00; on Saturday from 08.00 to 12.30; closed on Sunday). It is situated within the medieval walls of the city, making it a border to the south, more precisely in the side of the valley of S. Augustine. This whole place in slope, made of winding paths , small pools , rock caves and a spongy medieval source, is an oasis of peace and tranquility. The Botanical Museum of the Department of Life Sciences was established in 2007, according to the Statute of the Department of Environmental Sciences “G. Sarfatti “and includes: Herbarium and Botanical Garden, founded in 1856. However it’s history dating back to 1588 when the University of Siena began to raise medicinal herbs. In 1856 the garden moved to its present location, that is Via P. A. Mattioli, 4. Just here you will find rectangular flower beds, along with old specimens of exotic and local plants. 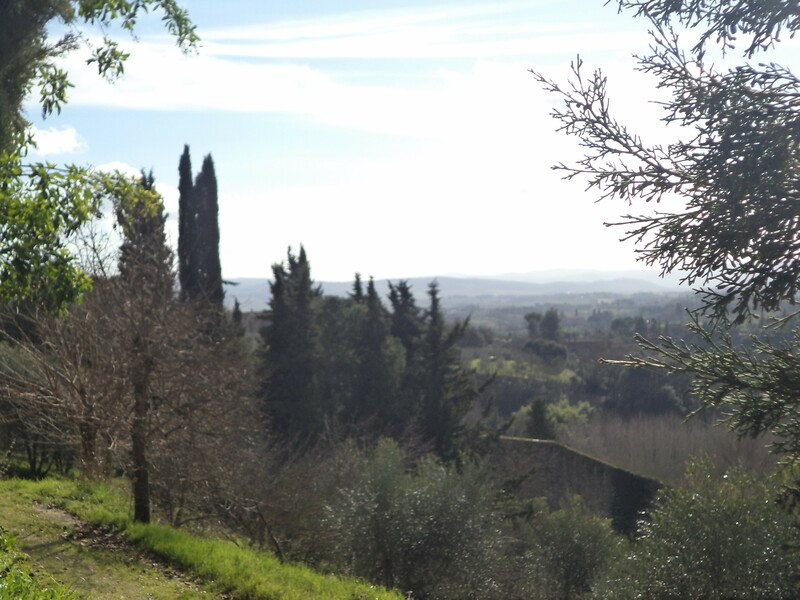 A farm area grows fruit, olive trees and vines of the main Chianti grapes. Also here are exposed indigenous and exotic plants for educational, informational and scientific. To help the visitor to the recognition of plants accommodated is facilitated by special labels – white and yellow for the native plants to exotic ones – who bear the scientific name and common name and provide any information about the family to which they belong and the areal distribution . If you reach this place you will ascertain how priceless is there. And how much it can offer you! To get some rest, relax and forget about reality. You will be for sure fascinated with the beautiful views of Tuscany area. And what is more . . . you will be lucky because separated from daily rush and crowd. Here almost no people! Why is like that . . . maybe because local people are at work at this time and tourists don’t know about it ! Ok, so maybe a small break in Orto Botanico? 🙂 Just only look below. . .